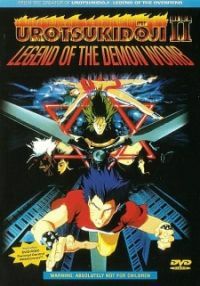 Urotsukidoji II: Legend of the Demon Womb 0 out of 5 based on 0 ratings. 0 user reviews. During World War 2, the Nazis attempted to breach the barriers between the three worlds. They failed then, but a Dr. Myunihausen (Munchausen?) tries again, through the manipulation of Nagumo’s brother Takeaki. His goal? To have the Chojin replaced.